The Board of Veteran CEOs: What Happens When Leadership Does Not Create a Corporate Culture? transform corporate culture from toxic to high performing. If they do not, they could remain in status quo for eternity. 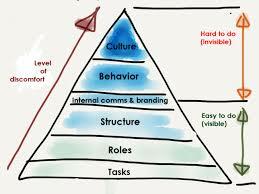 If they create no culture, simple initiatives can become challenging. In a high performing culture, it is likely leadership has placed high demands on everyone. In that environment, even mediocre employees understand the rules of engagement; raise the bar on performance or exit the company. In those businesses, the top executives are clear about culture. While they may not have all the answers for how to shape it, they understand the connection between sales, operations and customer fulfillment. For one, sales and operations must be in constant communication. When the sales team makes promises that are not communicated to operations, that disconnect can create unhappy clients. To ensure sales and operations are aligned, the executive team must reinforce the need for feedback loops. This is a way for staff and management to hold one another accountable. There are feedback loops from customer to sales and from sales to operations and leadership. Then there must be feedback from operations to leadership to ensure they have all the tools to effectively do their jobs. And the sales team also needs to know any challenges operations faces when meeting client demands. This flow of communication is especially important when products or services are customized for individual clients. When there is a communication gap, there is a chance operations will provide a one size fits all product or service. Without direction and guidance from leadership, employees are left to their own devices. In some cases, they notice poor performers and cut off communication with them. Because of that, a disconnect could be created in the feedback loop. Without consistent feedback loops, there is uncertainty about who does what and by when. To make matters worse, leadership may be unaware of the gaps in resources needed to meet client demands. Even though staff and managers do not set out to create a toxic culture, it happens, in part, because employees are operating with their own interpretation of what a great culture is. And there is no one to hold each person or department accountable. As a result, it can become a culture of blame. In addition, when people see you get paid the same for doing a good job or poor job, some begin to do as little a possible. While the prevailing sentiments are that it is difficult to change culture, it can be done. One solution is to hire an executive coach for the CEO and leadership team. 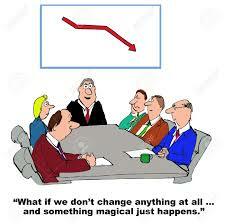 If you have a board of directors, that person should also work with the board. Use the outside person to help you create clarity and change the behaviors of the leaders to behaviors you want the rest of the enterprise to follow. Do not expect a silver bullet to fix everything. On the other hand, a highly committed leadership team that is clear about the need to create an empowering culture will have a greater chance of transforming under performance to high performance.